Vanessa Benelli Mosell is a young Italian pianist who has won acclaim with her performances of the music of Karlheinz Stockhausen, a composer with whom she studied. On this new disc, a follow up to her [R]evolution disc on Decca, she performs Stockhausen's Klavierstuck XII alongside Scriabin's 24 Preludes Op.11, Trois Morceau Op.2 and Etude Op.8, No. 12. Scriabin's 24 Preludes Op.11 were written over a period of eight years (from 1888 to 1896) and were one of the composer's first published works. The pieces were not written sequentially, and Scriabin wrote them in various places during his travels. The work came about originally thanks to a challenge from his patron Mitrofan Beliaiev who published the Op.11 preludes in 1897. Scriabin took Chopin's preludes as his model and like Chopin, Scriabin's preludes cover all 24 major and minor keys and they follow the same key sequence: C major, A minor, G major, E minor, D major, B minor and so on, alternating major keys with their relative minors, and following the ascending circle of fifths. 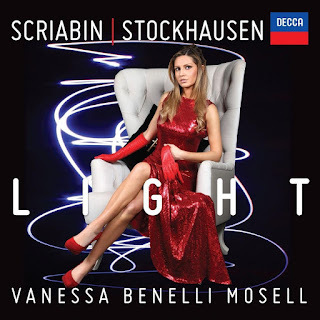 Vanessa Benelli Mosell feels that the preludes are a good introduction to the music of Scriabin, saying that 'it is essential to know it and to listen to it before exploring further subsequent music by Scriabin'. The preludes are not, however, straightforward though the fact that each is short means that the music is quickly apprehended. The City of London Sinfonia (CLS), artistic director Stephen Layton, have come up with twin themes running through their 2016-2017 season. 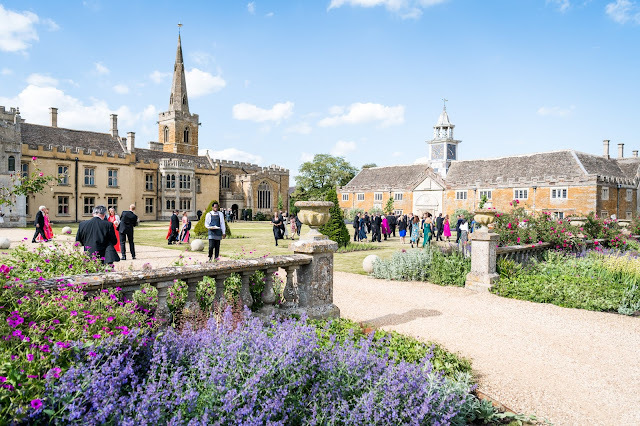 Folk Tunes Tall Tales sees the orchestra collaborating with a variety of musicians to explore folk traditions and story telling, whilst their Great British Choral Anthems series will perform major choral works in British cathedrals. In November 2016, CLS will be joined by folk-singer Sam Lee and conductor Hugh Brunt for a concert at St John's Hackney in their CLoSeR series performing folk-song inspired works by Britten, Grainger and Delius alongside Sam Lee's own work. In December there is An English Folk Christmas by Candlelight at St John's Smith Square with music by RVW, as well as works by Warlock, Bolton and Stephen Cleobury. CLS will be joined by the Holst Singers and conductors Jeremy Cole and Michael Collins. January sees CLS at Wilton's Music Hall celebrating Burns Night with The Devil's Violin with Burns Night Ceilidh. 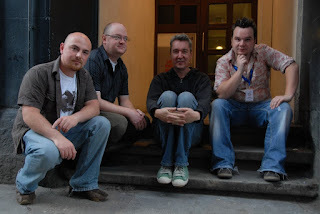 Another CLoSeR concert, CLS is joined by ceilidh band Licence to Ceilidh and fiddler Henry Webster. And the music will include not just Scottish, but Irish, Italian and Appalachian music, as well as Piazzolla and Locatelli. In March it is the turn of Japan with Japanese Journey: Kakyoku Songs, an evening of Japanese folk music with soprano Charlotte de Rothschild which has been recorded on disc and will be touring to Japan. The final concert of the season sees the CLoSeR series returning to the Village Underground in Shoreditch where Michael Collins directs a performance of Stravinsky's The Soldier's Tale, with choreographer Tony Adigun. For CLS's Great British Anthems Tour, Stephen Layton conducts a programme of Handel coronation anthems, Bach's Suite No. 3 in D and James MacMillan's Oh Give Thanks Unto the Lord with choirs drawn from the cathedrals visited. The tour takes in Truro, Hereford, Lichfield, Southwell, York, and Chester. CLS's community and outreach programme Meet the Music see the orchestra making music in schools, hospitals and communities, Current projects include Wellbeing through Music performing music in hospitals and care homes. Education projects include working with young children in communities which are geographically or economically isolated. The tenth Zurich International Orchestra Series at Cadogan Hall presents sixteen concerts with eleven international orchestras in the 2016-2017 season. Highlights include a chance to hear Edward Gardner conducting the Bergen Philharmonic Orchestra, and Valery Gergiev and the Mariinsky Orchestra celebrating the 125th anniversary of Prokofiev's birth. Soloists include Alison Balsom in Hummel, Freddy Kempf in Rachmaninov, Natalie Clein in Dvorak and Pavel Kolesnikov in Tchaikovsky. 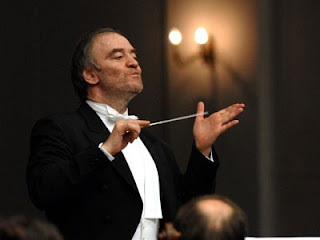 Valery Gergiev will conduct the Maryinsky Orchestra in all of Prokofiev's symphonies, plus the violin concertos with Kristof Barati, spread across three concerts. The Brussels Philharmonic under their chief conductor Stephane Deneve will be exploring the music of the young French composer Guillaume Connesson in two concerts, alongside Beethoven, Respighi, and Rachmaninov, plus Prokofiev's Sinfonia Concertante with Jerome Pernoo. The Spanish State Symphony Orchestra and conductor Grzegroz Nowak will be performing a programme which includes music by Falla, Rodrigo and Gimenez, plus Mendelssohn's Italian Symphony. Vladimir Fedoseyev conducts the Tchaikovsky Symphony Orchestra in Borodin, RVW and Tchaikovsky, including the Piano Concerto No. 1 with Pavel Kolesnikov. Libor Pesek and the Czech National Symphony Orchestra will perform a programme of Dvorak and Smetana, and are joined by Natalie Clein for Dvorak's Cello Concerto. The Zurich Chamber Orchestra is joined by trumpeter Alison Balsom and pianist Gabriela Montero for a programme which includes concertos by Hummel and Mozart, as well as Shostakovich's Concerto for Piano and Trumpet. The Bergen Philharmonic Orchestra and their chief conductor Edward Gardner play Grieg (of course) and Bartok, plus Elgar's Cello Concerto with the Norwegian cellist Truls Mork. The Vienna Tonkunstler Orchestra under its new chief conductor Utaka Sado are performing three concerts with a repertoire including Sibelius, Mendelssohn, Schubert, and Brahms, with Angel Hewitt in Mozart's Piano Concerto No.4, and Emma Johnson in Mozart's Clarinet Concerto. The series returns to Norway for the Norwegian Chamber Orchestra, conductor Michael Sanderling, who perform Beethoven's first and last symphonies, with soloists Anita Watson, Samantha Price, Alexander James Edwards and Thomas Faulkner. For the final concert in the series, we return to Russia with the Moscow Philharmonic Orchestra, conductor Yuri Simonov, performing Tchaikovsky, Shostakovich and Rachmaninov's Piano Concerto No. 2 with Freddy Kempf. Full information from the Cadogan Hall website. Gabrieli Roar, Paul McCreesh and Gabrieli's partnership with a network of British youth choirs, returns on 4 July 2016. A choir made up of nearly 200 young voices from six youth choirs (Bradford Catholic Youth Choir, Cantate, Hertfordshire County Youth Choir, Inner Voices, London Youth Choir, Taplow Youth Choir) will be joining the 50 professional singers from the Gabrieli Consort to perform a programme of music by Wesley, Tallis, Elgar, Mendelssohn, Byrd and Howells at Ely Cathedral on 4 July 2016, with organist William Whitehead. The concert will be part of the Cambridge Summer Music Festival. 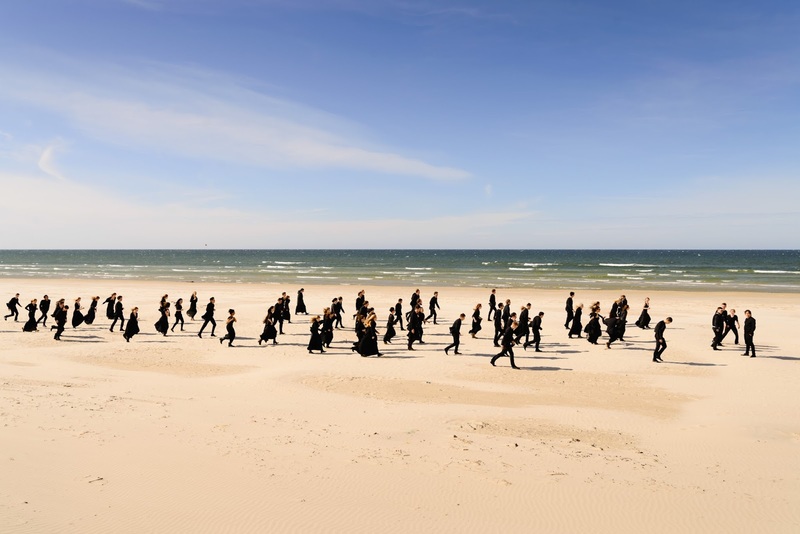 Paul McCreesh and the Gabrieli Consort will be presenting a new programme of a cappella music, Silence and Music on 7 and 8 July 2016. 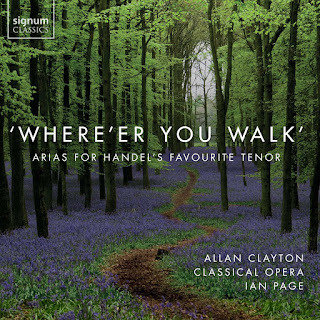 The programme takes its title from a part-song by RVW and the programme explores how poets and composers reflect upon the natural world as a metaphor for our own emotional experience with music by Britten, Warlock, Elgar, Stanford and Finzi. 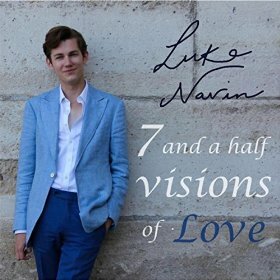 On 7 July 2016, the programme is being performed at the Voices of London Festival and on 8 July at the Oundle Festival. 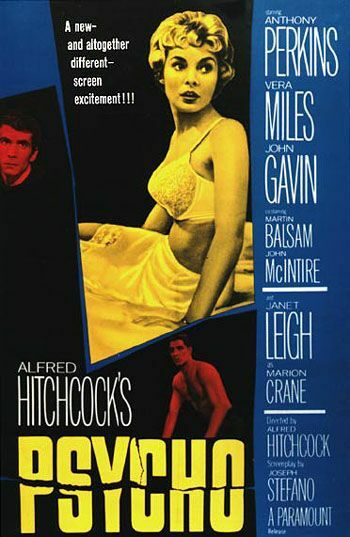 Bernard Herrmann's score for Alfred Hitchcock's 1960 film Psycho has become iconic. Now Ben Palmer and the Orchestra of St Paul's are offering the chance to hear the score live alongside a high-definition screening of the film. On Sunday July 3, 2016 at the Roundhouse there will be two screenings of the film (at 4.30pm and 8.30pm) at which Ben Palmer and the Orchestra of St Paul's will play the musical sound-track. Further information from the Roundhouse website. Mahogany Opera's Various Stages Festival returns in 2017, showcasing the company's research and development programme, and the company is inviting artists to submit project ideas. The programme was formed to test creative and challenging ideas for opera and music theatre. Selected artists are given the opportunity to put their creative projects through a range of open and closed workshops and public work-in-progress showings, with close support. 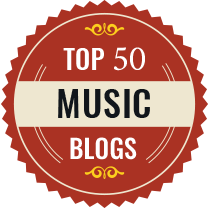 Artists and producing companies are invited to submit projects with innovative ideas combining music and drama, which they would like the opportunity to develop through Various Stages. Entrants should be keen to take bold creative risks and push the boundaries of style and form, and have an existing relationship with a venue, promoter or production house which could endorse and support the project. In January, selected ideas will be workshopped with a range of different artists. This will culminate in a two-day Various Stages Festival in February 2017, featuring showcases, critical feedback sessions and networking opportunities. National and international venues, promoters, artists and producers will be in attendance, and some events are open to the public. Full information from the Mahogany Opera website. The deadline for submission is 29 July 2016. Harrogate International Festivals is 50 this year, and celebrating the fact with a whole range of events in the town from 1 to 31 July 2016. To mark the 50th anniversary there is a commission from composer Howard Skempton to be played by the Brodsky String Quartet, who also celebrate the anniversary with Shostakovich’s String Quartet No. 11, written 50 years ago and Golijov’s Tenebrae, written 25 years ago. Sir Willard White is giving a recital with Julius Drake, as well as giving a masterclass, and there will be a BBC New Generation Showcase with Narek Hakhnazaryan (cello), Pavel Kolesnikov (piano), and Annelien Van Wauwe (clarinet) for a BBC Radio 3 broadcast. 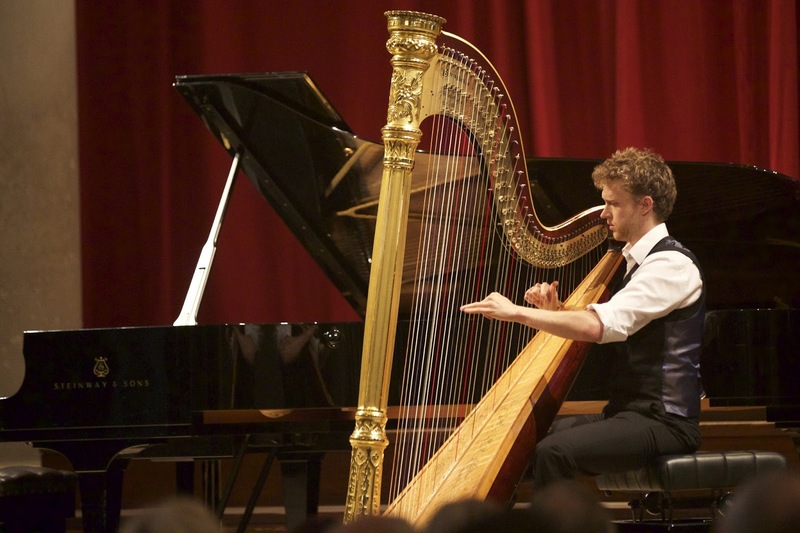 A series of lunchtime young musician showcase recitals includes baritone Benedict Nelson, the Aurora Trio, pianist Galina Averina and clarinettist Anna Hashimoto. Other visitors include the Los Angeles-based Angel City Chorale, a multicultural ensemble, performing a new work by Grammy Award winning composer, Christopher Tin. 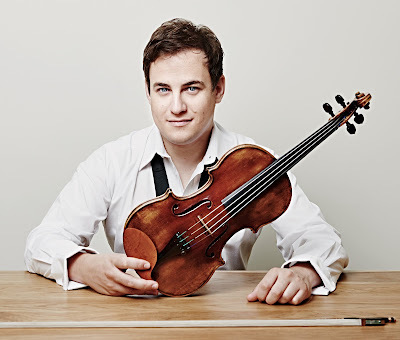 Whilst Einstein’s Universe combines a lecture by Professor Brian Foster, with musical sketches by violinist Jack Liebeck, followed by an evening recital by Liebeck and pianist Katya Apekisheva. I Fagiolini, will present their recent recording project, Amuse-Bouche in an atmospheric Concert by Candlelight. The festival finale is the Czech National Symphony Orchestra, with violinist Alexander Sitkovetsky and conductor Libor Pesek performing Tchaikovsky’s Violin Concerto. 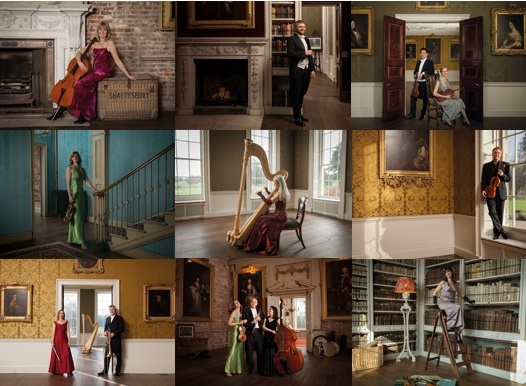 The orchestra in residence is the John Wilson Orchestra, who will perform a number of events including a tea dance. There is also the chance to have a wine tasting with Oz Clarke, pairing wine with Baroque music from the Armonico Consort. Harrogate Music Festivals’ 2016 theme is ‘Discover, Explore and Experiment’, with a number of events that will cross-over to Harrogate International Festivals literature events. Verdi's Don Carlo is a challenge for any opera company, but mounting his grand opera (even in his revised four-act version) in a small opera house like Grange Park Opera was always going to be tricky. In the event the production, directed by Jo Davies, sets designed by Leslie Travers, was a triumph of compression. Don Carlo was Italian tenor Stefano Secco, with Operalia winner Virginia Tola as Elisabetta. Clive Bayley was Philippo, David Stout was Rodrigo, Alastair Miles was the Grand Inquisitor, and Ruxandra Donose was Princess Eboli. Costumes were by Gabrielle Dalton, movement by Lynne Hockney and lighting by Anna Watson, Gianluca Marciano conducted the Bournemouth Symphony Orchestra. The opera was performed in the four-act revised version which Verdi produced in 1884. 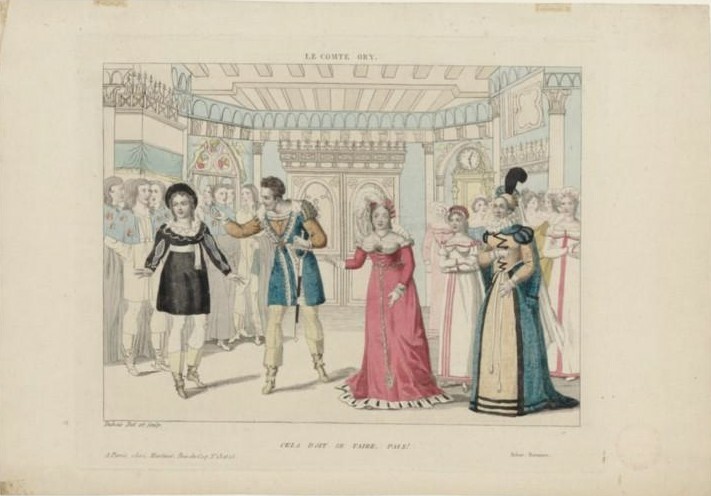 The original 1867 five-act version, premiered in Paris, proved too long for Italian opera houses and Verdi took advantage of the revision to produce a tauter version. Sadly at Grange Park it was sung in the contemporary Italian translation rather than the original French. Key to the production were Leslie Travers striking and elegant sets, based around a pair of massive yet movable walls which provided a suggestion of the ecclesiastical architecture and a sense of stripped back massiveness, whilst being imaginatively multi-use; decorative slots doubled as candle holders, and the upper level embrasures formed balconies for the chorus in the auto-da-fe scene. At the centre was a moveable glazed element which came and went, sometimes with candles in it (for the opening and closing scenes), sometimes trees and sometimes replaced by a grill. 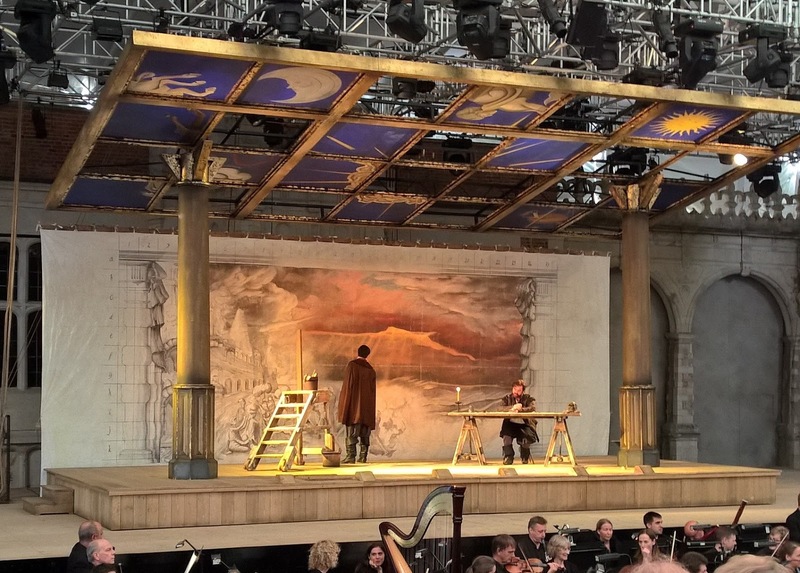 The set had all the substance needed to bring the opera off, with all the functional requirements, yet managed to be simple and elegant. 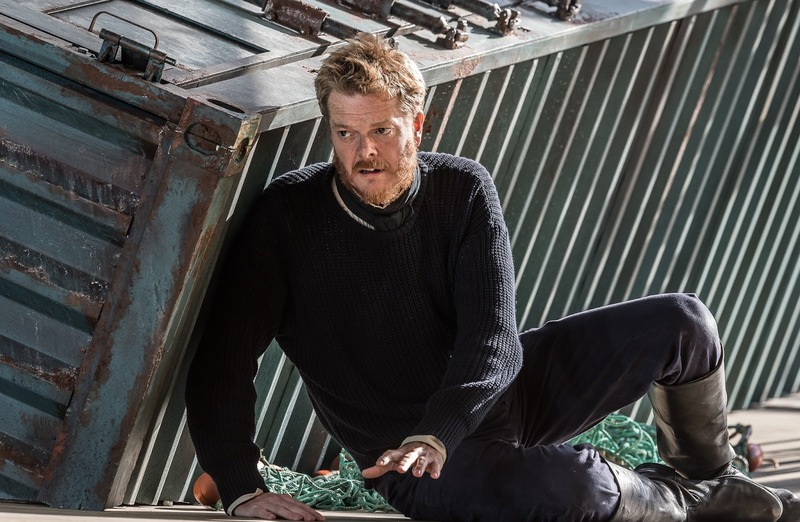 Within this, Jo Davies took a similarly stripped back and straightforward approach to the drama, so that the stage was never fussily cluttered. 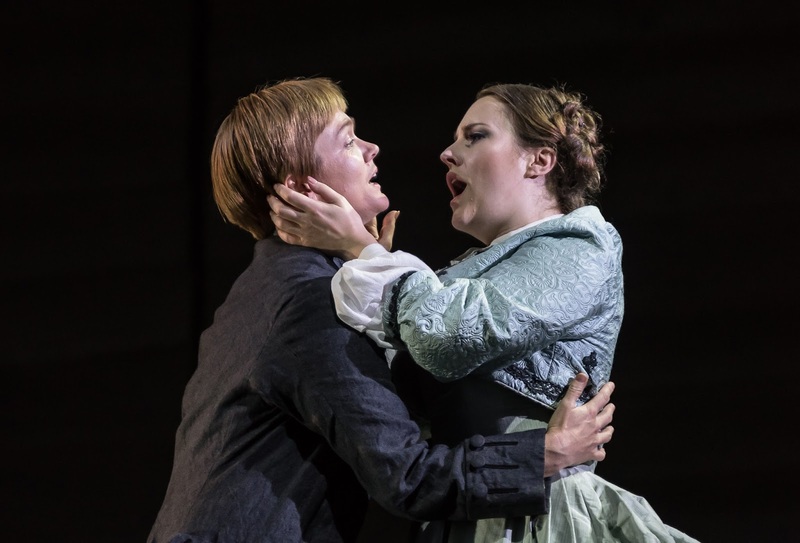 Even the auto-da-fe scene had a clarity to it, though Davies was marshalling multiple groups of singers (courtiers, priests and Flemish deputies) plus soloists. My only real complaint was the rather unnecessary changes to the opera's closing scene. Perhaps a key to Jo Davies approach was that she did not have a particular axe to grind, instead told the complex story with directness and intense sympathy for the leading characters. The costumes were loosely period, with the women in black gowns which were essentially 19th century but with 16th century detailing, and similarly the men wore trousers but carried swords. The colour palate was very restricted, simply blacks and browns with the odd flash of white standing out (the women's collars, Philippo's shirt in his solo scene in Act Three). 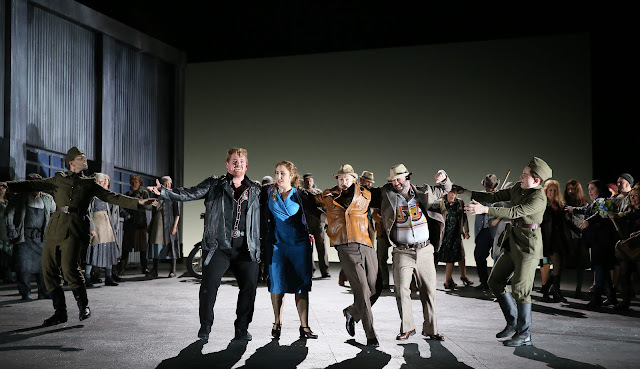 Middle period Verdi is increasingly difficult to cast, and Grange Park Opera fielded a cast which would have made many a big opera house proud. It wasn't perfect, but the principals all played to their individual strengths and made a great team. Central to this was the tireless tenor voice of Stefano Secco. I have to admit that I found his voice a little too edgy, he seemed to sing a half a notch too loud for the theatre, and occasional high note had a tightness to them. But he paced himself well and had plenty of stamina for the great final scene, and sang Verdi's music with an admirable fluency, supplying a superbly well filled line that would be the envy of many casting directors in this opera. He had a rather solid, middle-aged persona, lacking the dynamism necessary yet on the smaller stage at Grange Park this mattered less and when he came forward we could see and hear every detail. This disc, Inner Landscapes, on the Prima Facie label, is a survey of the chamber music and piano music of Douglas Finch, covering some 30 years of his composing career from 1984 to 2013. The pianist Aleksander Szram plays Finch's Lyric, Chorale I, II & II, and Uclulet (Landscape IV) and is joined by Lisa Nelsen (flute), Mieko Kanno (violin), Toby Tramaseur (violin), Caroline Szram (cello) for Ruins, Fantasy on a Russian Folksong, Summer and Lamentations. Finch was born in Canada and trained initially at the University of Western Ontario and the Juilliard. He moved to the UK in 1993 when he co-founded the Continuum Ensemble with Philip Headlam. 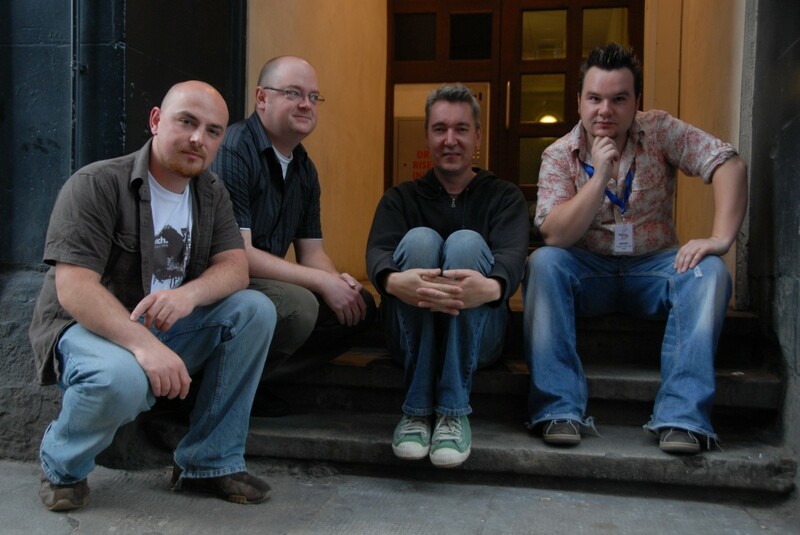 From 1999 to 2006 Finch was Head of Keyboard at Trinity Laban Conservatoire of Music and Dance, where he is now Professor of Piano and Composition. 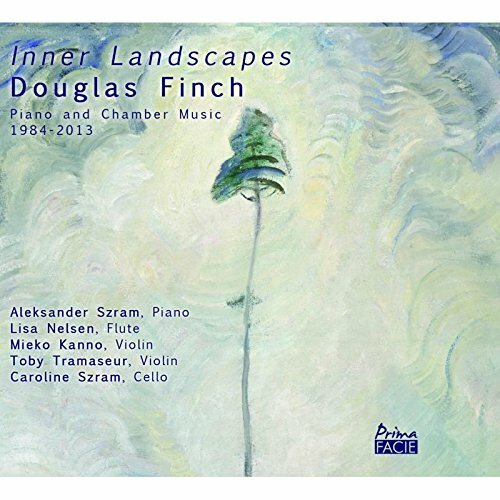 Much of the music is quiet and intense, and the disc's title Inner Landscapes is very apt. This year's Christine Collins Young Artists performance at Opera Holland Park was Puccini's La Boheme on 24 June 2016, in Stephen Barlow's new production, designed by Andrew D Edwards. Associate director Rose Purdie was responsible for directing the Young Artists, and associate conductor Paul Wingfield was in the pit with the City of London Sinfonia, with Alice Privett as Mimi, Stephen Aviss as Rodolfo, Christopher Cull as Marcello, Elizabeth Karani as Musetta, Julien Van Mellaerts as Schaunard and Richard Walshe as Colline, plus David Woloszko, James Harrison and Michael Bradley from the main cast as Benoit, Alcindoro and Parpignol. I had not seen Stephen Barlow's production which debuted on 11 June, so this was my first experience. At Opera Holland Park, the director and designer have to decide what to do about the facade of Holland Park House, which is a very visible presence around the stage. The options are simply to use it, disguise it or ignore it. Barlow and Edwards chose to use it, setting the tale of Bohemians in Paris in the 16th century. 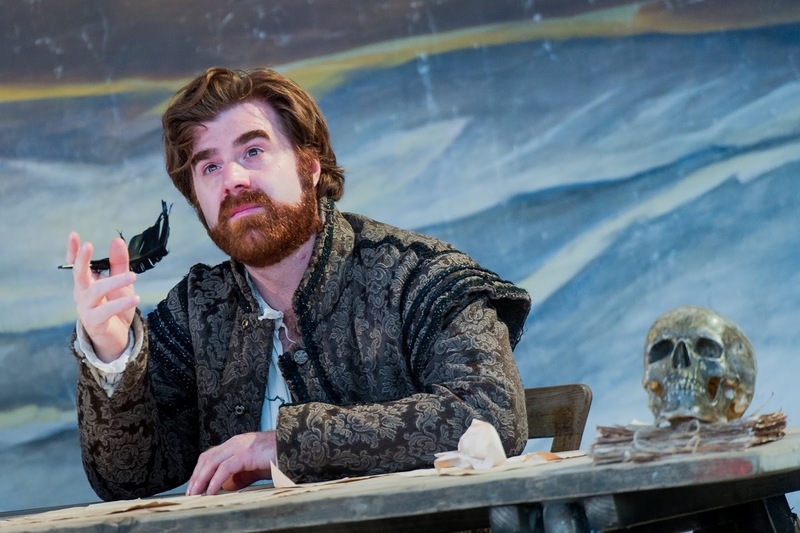 Little in the text conflicts with this setting, and it works as well as moving the piece to the 1950s, but it remains a surprise to see Rodolfo (Stephen Aviss) and Marcello (Christopher Cull) in doublet and hose! The production was deliberately theatrical, the students' garret was a stage with a stage, with the design evoking the stage at the Globe Theatre, and Marcello's painting was a full cloth back-drop. Throughout the opera these cloth back-drops were visibly changed by stage-hands (in 16th century gear), and for the end of Act One we had a street scene, with an illuminated moon and for the final climactic note from Rodolfo and Mimi (Alice Privett) we saw them in silhouette against the moon. 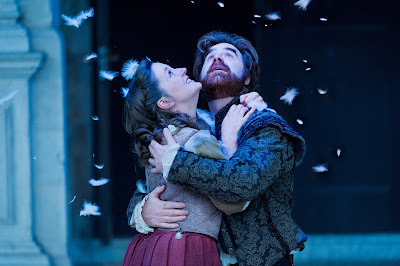 During Act Three, when there was no backdrop and the city gates were set up in front of Holland Park House, a stage hand produced a snow effect. In the programme book there was printed a quote from Arthur Ransome, 'Bohemia is not a place - It's a state of mind' and like Stephen Medcalf's production at Grange Park Opera last year (see my review) the theatrical element was meant to evoke this, the sense that these young people are in Bohemia because they want to be, and that Bohemia could be anywhere. It helped having young singers performing the roles, looking the part of young people in a garret. Kirill Karabits, chief conductor of the Bournemouth Symphony Orchestra, will be launching the orchestra's 2016/17 season with performances of William Walton's Symphonies 1 & 2, both of which will be recorded for future release on the Onyx Classics label. A special focus on mid 20th century symphonies will also include Martinu's Symphony No. 4 (conducted by Aleksandar Markovic the new music director of Opera North), Shostakovich's Symphony No. 8 (conducted by Kirill Karabits in a programme which also includes Prokofiev's Violin Concerto with Valeriy Sokolov) and Lutoslawski's Concerto for Orchestra in a programme with Bartok's Dance Suite. Another focus is on the music of Elgar in the context of his Romantic contemporaries with the Cello Concerto (paired with Dvorak's Symphony No. 8), In the South (paired with Richard Strauss's Aus Italien), Elgar's Violin Concerto (with Kirill Karabits and Guy Braunstein, paired with Rachmaninov's Symphony No. 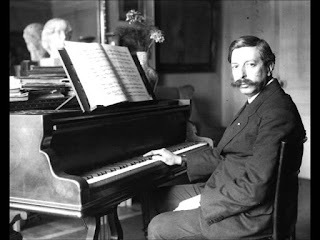 3), and Karl Heinz-Steffens conducting Elgar's Symphony No. 1. 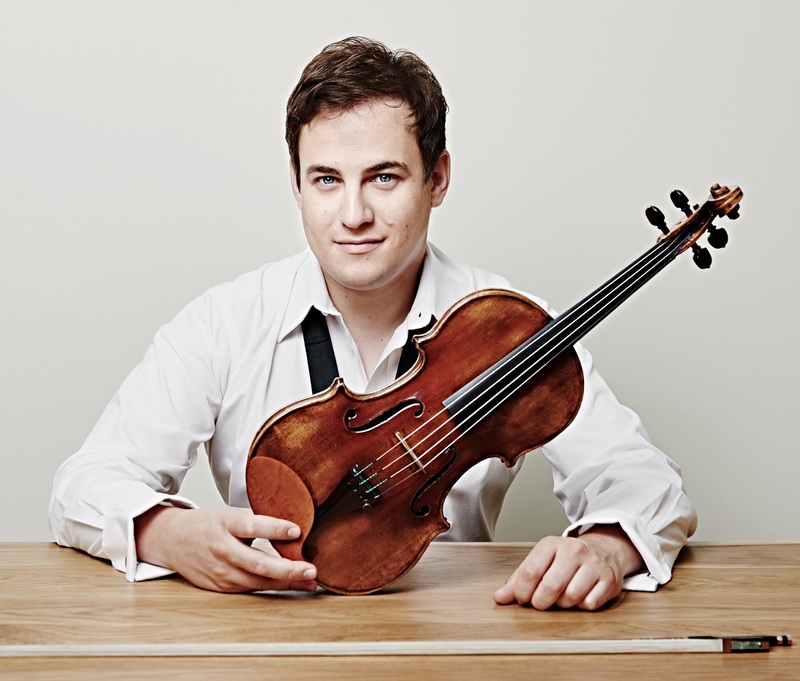 The orchestra's new artist in residence is Serbian violinist Nemanja Radulovic, who will be performing Khachaturian's Violin Concerto, Barber's Violin Concerto and a recital with repertoire spanning Bach to Wieniawski. The orchestra's BSO Participate programme works with 18 Music Hubs across the South and South West, so that in addition to the orchestra's 120 public performances it will be participating in around 500 workshops, creative sessions, tea dances and community activities. 125 000 people are expected to attend a BSO concert, with more than 60,000 children, young people and community groups engaging with other activities. Free concerts for primary schools will enable more than 10,000 children (aged 7 to 11) to experience high quality live music, with the Kids for a Quid scheme enabling 3000 under 18s to see live symphonic music last season. Full details from the Bournemouth Symphony Orchestra's website. Period performance and folk come together in this exploration of William Thomson's Orpheus Caledonius collection. A baroque/ folk mashup is not what you would normally expect from a Friday night (10 June 2016) at St Leonard's Church in Shoreditch. But this is exactly what Spitalfields Summer Music Festival has done. 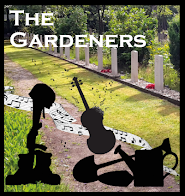 Based around William Thomson's 1725 book of Scottish songs Orpheus Caledonius, L'Avventura London, The Old Blind dogs and Siobhan Miller made something delightful from something old. William Thomson (1695–1753), originally a Scot, moved to London in around 1722. He was a collector of traditional Scottish music and retained many Scottish students. Orpheus Caledonius is his collection of Scottish songs which, unusually for their time, have their tunes and some ornamentation and accompaniment attached. 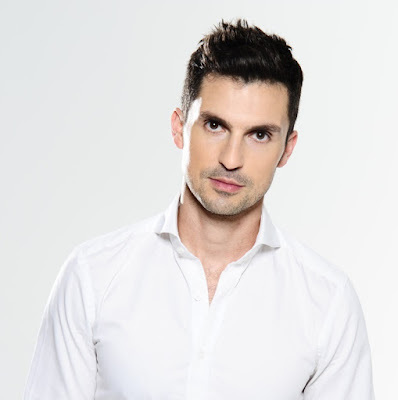 Such was his lasting influence, described L'Avventura London's director Žac Ozmo during the preconcert talk, that other composers such as Haydn produced settings of these songs. 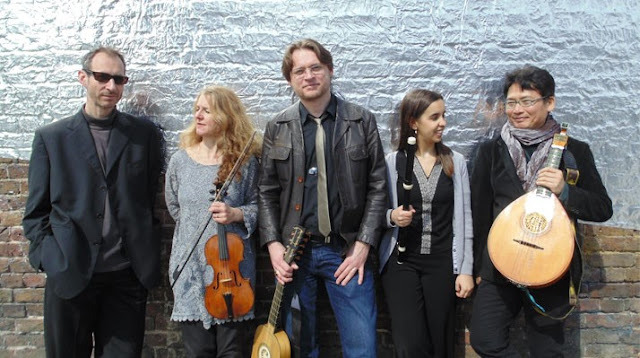 Ozmo further said that the aim of the concert was to "depict[...] as close as possible the emotional context of the time" and to explore the cultural differences between high art and folk music, explaining that "the divide was very porous in the 18th century". The two sides of the project also talked about the differences in learning music. The baroque group read and learn from music, while Siobhan and Aaron from the folk groups described their difficulty with the written notes, because theirs is an aural tradition with each student learning and then putting their own stamp on it. Some of the songs in Orpheus Caledonius are still performed today, although because of this process the music is different. This written account by Thomson is therefore a "snapshot" in time. So while the performers were interested in the historical account provided by Orpheus Caledonius, especially because it is in Old Scots dialect and some of the words are no longer used, they were not too worried if in learning the music they made some changes. For one well known song, The Broom of Cowdenknowes, they decided to use the old lyrics and the modern version of the tune, and for Highland Laddie they expanded the one line melody to produce a more complex song. 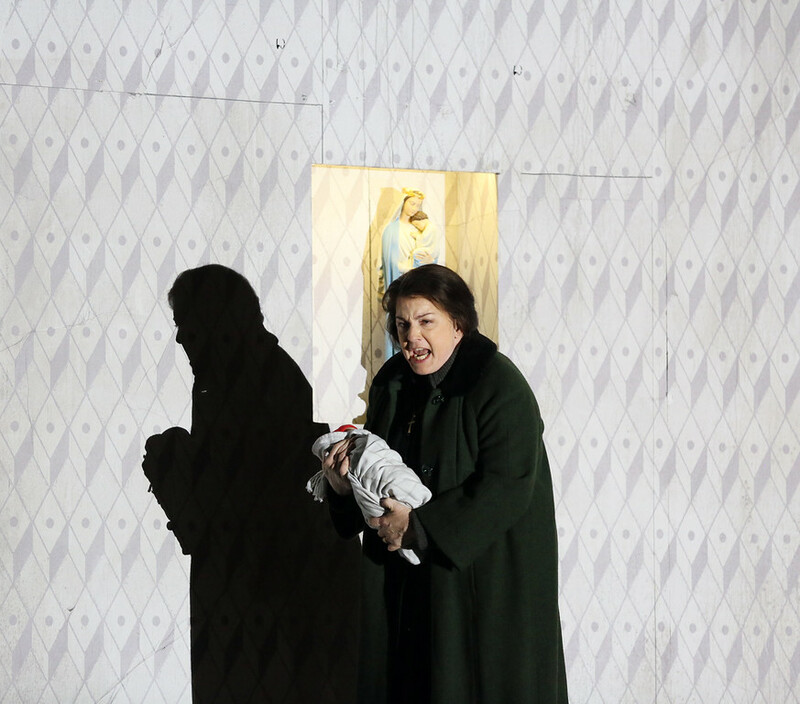 When was Rossini's last comedy, Le Comte Ory last staged in London? Glyndebourne last staged it in 1998 and performed it at the BBC Proms in 1997. Despite the popularity of his Italian comedies, Rossini's French comedy just does not seem to have achieved the popularity it deserves. So we must be grateful for Chelsea Opera Group. Under conductor Toby Purser they are performing Le Comte Ory at the Cadogan Hall on Saturday 25 June 2016, with Mark Milhofer, who was in Covent Garden's production of Rossi's Orpheus as Comte Ory, Claire Booth, who was in WNO's production of Rossini's Mose in Egitto as Countess Adele, plus Heather Lowe (Isolier), Anne Mason (Ragonde), Benedict Nelson (Raimbaud) and Steven Page (Gouverneur). The opera was written for Paris in 1828, but it recycles music written for Il viaggio a Reims a few years early. Il viaggio a Reims was a one off, an occasional work written to celebrate the French coronation, so it is understandable that Rossini wanted to give the music greater currency. This, and the fact that the piece was written for the Paris Opera, rather than the Opera Comique, mean that though a comedy Rossini's music is rather larger scale than in his Italian comedies. Update: I understand from a correspondent that the work was in Sadler's Wells Opera/ENO repertoire from the early 1960's to the mid 1980's. 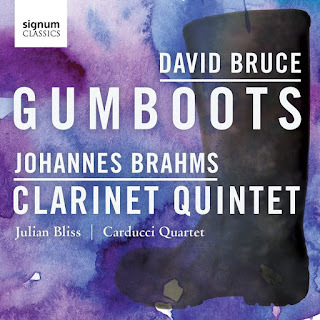 This new disc from clarinettist Julian Bliss and the Carducci Quartet (Matthew Denton, Michelle Fleming, Eoin Schmidt-Martin, Emma Denton) on Signum Classics pairs two works for clarinet and string quartet; Johannes Brahms classic Clarinet Quintet in B minor, Op.115 and Gumboots by the contemporary composer David Bruce. The two works are interestingly complementary not just in regard of style and time period, Bruce's work is written for bass clarinet (doubling clarinet) whilst Brahms' is for a standard clarinet. 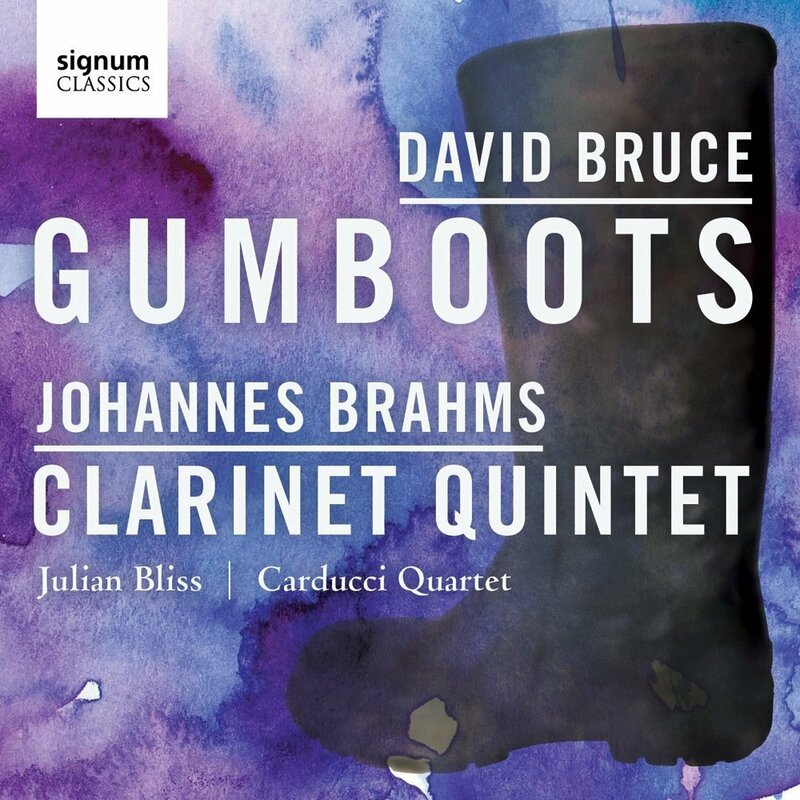 Before encountering this disc I had never come across Gumboot Dancing and the title of David Bruce's piece brought a number of associations, all wrong. During the Apartheid era in South Africa it was cheaper for the mine owners to supply the workers with gumboots (Wellington boots) than drain the mines. Forced to work in chains and forbidden to speak the men developed a means of communication by slapping the boots and chains. On Monday 20 June 2016, St John's Smith Square launched its 2016/17 season with an event at the hall which not only included an introduction to the season from the hall's director, Richard Heason, but also gave us a chance to hear performances from members of the Young Artists Scheme. The programme opened with David Titterington, Organ Curator at St John's Smith Square, playing Buxtehude's Toccata in D minor, BuxWV155, a large scale and stupendous piece. Then we heard from two of the 2016/17 Young Artists; pianist Christina McMaster played Debussy's Les sons et les parfums tournent dans l'air du soir and Etude Pour les Octaves, and harpist Oliver Wass played De Falla's Spanish Dance. Finally violinist Joo Yeon Sir (a 2015/16 Young Artist), accompanied by Irina Andievsky, played Karl Jenkins' amazingly high-energy Chatterbox, a work which was commissioned for Joo Yeon Sir as part of the Young Artist Scheme. The 2016/17 programme includes over 300 concerts; core to the hall's programme are the choral, vocal and period instrument performances, but there are also over 30 new works being performed, as well as the events involving the Young Artists. Newcomers to the hall include Christoph Rousset and Les Talens Lyriques, and the Society of Strange and Ancient Instruments. 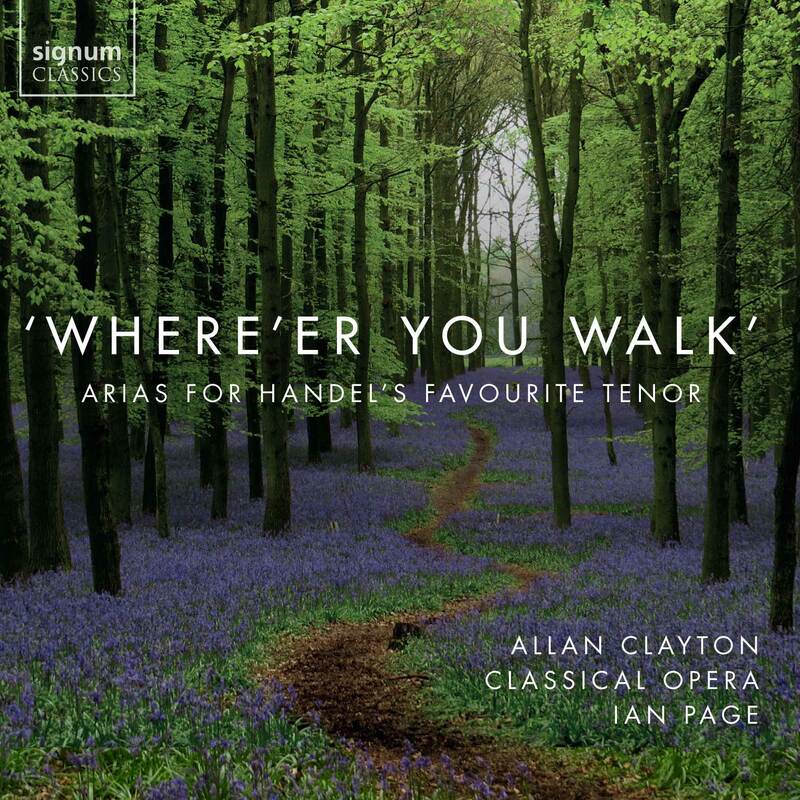 Returning groups include Andrian Chandler and La Serenissima, who will be doing a series based on the Grand Tour, Paul McCreesh and Gabrieli Consort & Players who will be performing Handel's Dixit Dominus, and the London Bach Society's Bach Festival. David Bates and La Nuova Musica will be performing Purcell's Dido and Aeneas with Ann Murray, Bampton Classical Opera will be performing a double bill of Gluck operas, and Ian Page and Classical Opera will be performing Mozart's Apollo & Hycinthus and Die Schuldigkeit des erstens Gebots as part of their Mozart 250 series (which reaches 1767 next year). Other groups include Howard Shelley and the London Mozart Players, Nicholas Collon and the Aurora Orchestra (who will be performing Brahms Symphony No. 1 from memory), the London Philharmonic Orchestra, and Orchestra Nova who will be celebrating the 60th birthday of its conductor George Vass. Stephen Layton and the Holst Singers will be performing Handel's Jephtha, whilst the Tilbury Bach Festival perform the St John Passion. New music includes performances from the London Sinfonietta, the Park Lane Group, Ensemble Variances, and Notes Inegales. Kenneth Woods and the English Symphony Orchestra will be giving the premiere of new work by Philip Sawyers. Regular series at the hall include the Thursday Lunchtime Concerts, the Sunday at St John's chamber music series, as well as Martino Tirimo's Great Piano Quintets series. The Christmas Festival returns for its 31st outing, whilst the London International A Cappella Choir Competition will be returning with Arvo Pärt as the featured composer. 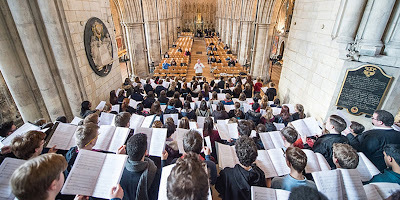 There is a new Holy Week Festival which will combine concerts with free liturgical events including Matins and Tenebrae. Next year's London Festival of Baroque Music will feature Baroque music on the edge. The Southbank Centre is continuing its collaboration with a hall, a partnership born of necessity whilst the Queen Elizabeth Hall and Purcell Room are closed but which has proved illuminating and fruitful on both sides. The programming next season will include a number of premieres from the London Sinfonietta, the London Philharmonic Orchestra's Future Firsts concerts as well as a Nordic Matters festival exploring music from the Nordic countries. The Southbank Centre's major festival Belief and Beyond Belief will also see events at the hall. A number of the 2015/16 Young Artists will be returning in 2016/17 so that there will be concerts from the Gesualdo Six, the Ligeti Quartet, Tabea Debus and Joo Yeon Sir. And of course, there will be plenty of events featuring the 2016/17 Young Artists, Christina McMaster, Oliver Wass, Ensemble Mirage, Ferio Saxophone Quartet, Palisander Recorder Quartet, Minerva Piano Trio. 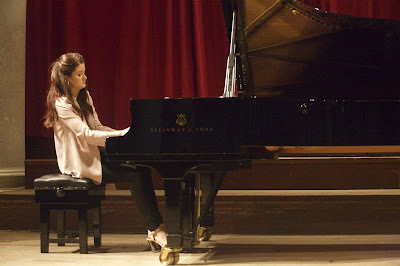 I am involved in a small way, as pianist Kimiko Ishizaka, whom I heard in Cologne (see my review) will be performing Bach's Art of Fugue with her own completion, and I will be giving a pre-concert talk about the new completion..
Full details of the whole season from the St John's Smith Square website.